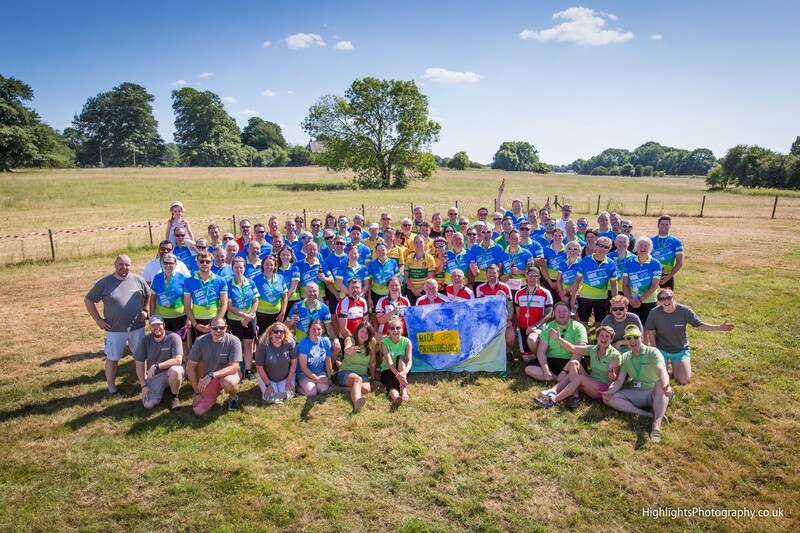 There were emotional scenes at the weekend as 85 cyclists arrived at Children’s Hospice South West’s Charlton Farm having journeyed in extreme heat from Cornwall as part of the charity’s annual Ride for Precious Lives (RFPL) event. 85 cyclists left CHSW’s Little Harbour hospice in St Austell on Friday, made their way to CHSW’s Little Bridge House hospice in Devon, eventually finishing at CHSW’s Charlton Farm hospice in North Somerset on Sunday – 205 miles in just 3 days. This was the 10th year of the event which has raised over £700,000 for the charity since the first Ride for Precious Lives in 2009. It attracts cyclists of all abilities, many returning year on year to take part in what has been described as a very special and inspirational event. This is the second time Helen has taken part in RFPL and the couple are passionate about supporting CHSW. They said, “The hospice has been such an important place for us and continues to support us now. It was there for us and our son Thomas after his diagnosis with mitochondrial disease and looked after us during our weekend stays, during Tom’s final hours and throughout the painful days that followed. The hospice is still there for us and our family now and remains a special place full of the most amazing people. Donating to this amazing charity will mean you are helping to support the work it does and the families and children that find themselves in the terrible position of needing its services. Although it’s not somewhere you ever want to find yourself staying, it’s the most wonderful place to be if you do. This year’s event is hoping to raise in excess of £85,000, which will help CHSW continue to provide care to over 500 families across the South West. RFPL 2018 received generous sponsorship from its main event sponsor Edwards, based in Clevedon, along with Hubbox, which has branches throughout the South West. 125 places are available for RFPL 2019 and registration is now open.